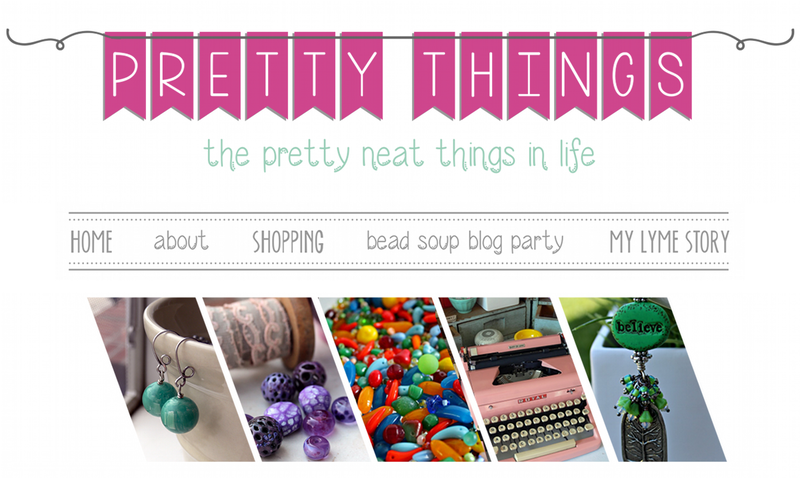 Pretty Things: And now, some thinking. That was a good read! Yeah, its important not to size ourselves up against irrelevant measurement scales that dont even apply to us. Each one is a hero, or on the road to achieve IT. No step is wasted. And never give up!! Was good to know a bit more about the thoughts of our 'hostess'.. Cant wait to sign up! Lori, No one is harder on you than YOU. Your designs are very pretty, and you've got the repeat customers to prove it. I know how you feel about seeing other innovative designers, and feeling sub-par. I signed up for the BSBP only last year because of those same feelings in previous years. But we all find our own way. How many times have you seen a jewelry design and thought it was NOT good? Plenty, I'll bet. But there are other peolpe that think it's great! It's all subjective. And it's not a competition, or a race. Create for you, at your pace, and don't worry about what others think. hugs to you! We're always our own worst enemies, aren't we? Well, you know I've always loved your jewelry! And I sooooo appreciate that!!!!! I've often felt like I'll never be able to play with the big dogs in terms of my jewelry because I never produce inovative designs or invent some new technique. But finally I realized I really like what I make and it brings me joy. Most of my customers are looking for unique designs they can wear every day--not something way out there that can only be worn once or twice. It took me a long time to realize this is where I need to be. That doesn't mean I should not ever try new techniques, but it does mean I should be kind to myself even if I fail. Thanks for a great post!!! Wow, girl. I'm gonna have to go take off all my eye makeup and start over, cuz you've got me blubbering like a baby. THIS is exactly where I am right now. Just one week ago I was ready to chuck it all, give up, let the light go out on my passion. But then I started thinking the same exact thing - I love what I do, so I am going to I BEAD FOR ME. Let the rest go. Do a couple shows when the opportunity arises. And relax. Thanks for another great post, Lori - not only do you do good blog hop - you do good BLOG, period! I admire your ability to speak so candidly about your journey. It can be scary but it helps me. You are so dang smart, love your writing! good post...but who are the Big Girls..I thought you were one of them already.. I wonder if The Big Girls have their own list of Big Girls? I bet there are a lot of people out there jealous of *you* and how you host events that attract hundreds of people and write blogs that garner heartfelt responses from readers. It's one of the reasons why I realized I was being stupidly hard on own expectations. I think you're a wonderful designer/jewelry maker. But I know the feeling of not being good enough. You and your blog hop is what has inspired me to really reach out and try new things with my jewelry making, though. So thank you so much for that. I'm always in awe of what you create with your soups and what you inspire others to create and think outside the box. 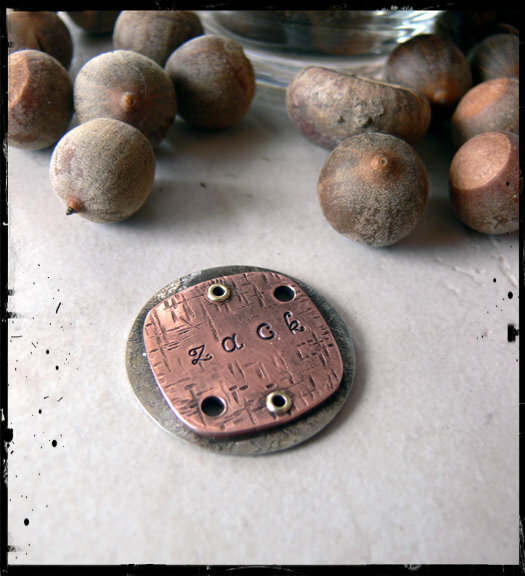 I was just asked to be part of the design team for ZNETSHOW and submit jewelry designs for their Tucson Gem Mall show. I blogged about it and my designs. 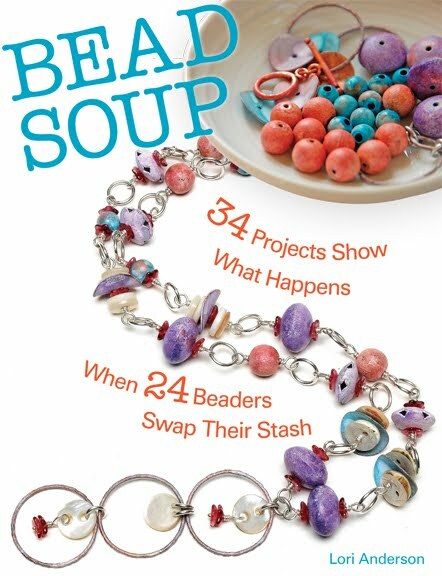 I wouldn't have had that opportunity w/o your Bead Soup blog hop and design inspiration. And your book is amazing. Now if I can just get up the nerve to submit some of my designs to a magazine. Thanks for the post and read. But I think your great. Love your words, Lori. You have an ability to choose them (it seems intuitive from the outside looking in, but I know there is a pile of WORK in there). Then you astonish me again with your willingness to share. I thought I had given up years ago trying to be all things to all people. 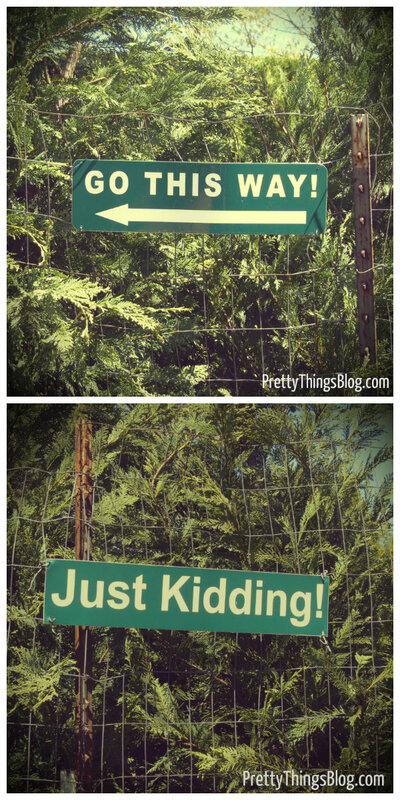 Now I'm not so sure. Thanks for framing this for me! Amen sister. That is exactly what happened to me with beadmaking. The economy tanked, my sales tanked, and all of a sudden I started doing something I've never done before and will strive to never do again: questioning myself. I had to step away from beads for what I believed would be permanently. Turns out that isn't the case, and I'm having fun just playing with the glass again. I don't have the heaping responsibilities that buried me for a few years, so the need to sell doesn't haunt my every hour anymore. 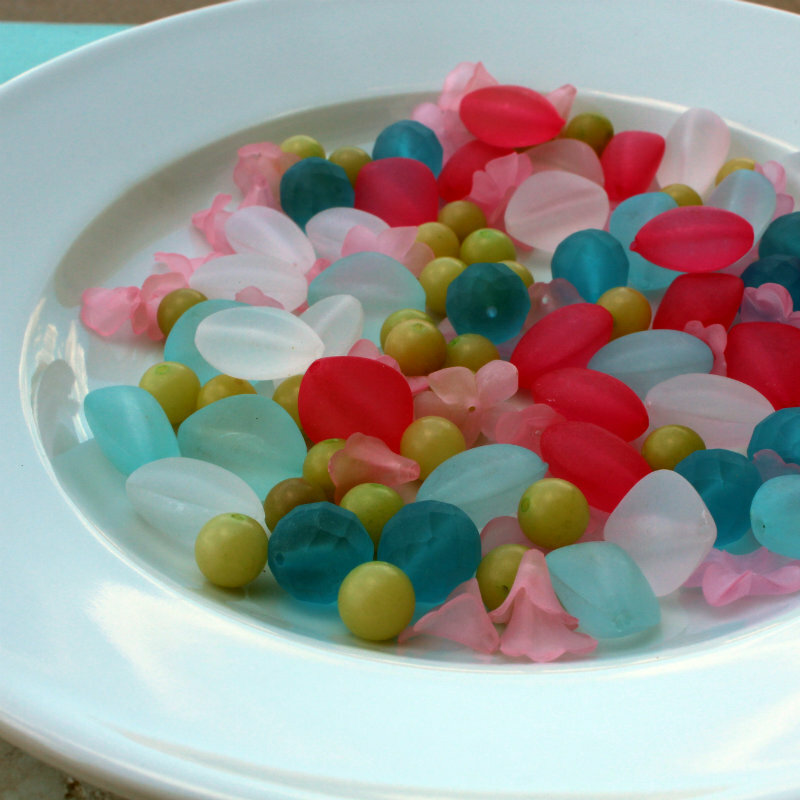 If someone connects with a set of beads and wants to turn it into something wonderful, yay. If not? Still yay. Do YOU. Because you, my friend, are amazing. And thank goodness we're allowed to sit back and reevaluate every few years! I've changed over the years, and I want the ability to change my focus too. For me, one of the joys of getting older has been recognizing this, and being conscious about it. I'm glad that you can consciously see what a great thing your Bead Soup concept has become. Although I enjoy viewing other hops, I've enjoyed the Bead Soup concept more than any of the others. I'm very excited (and a little nervous!) to participate this time. Oh sweetie, you took the feelings/emotions right outta my heart w/the whole "it factor" thing and put them into words as only you can do! Thank you for this lovely post. Since coming to certain realizations a few months back, the flood gates opened! I'm coming to terms with a few things and it's been so refreshing and healing. You're an inspiration in more ways and to more people than you will probably ever know. :-) Hugs to you for putting this out there! I cannot tell you how much this particular entry really struck home--thank you so much for sharing it. I have never felt good enough to play with the Big Girls--in anything. I sit in the corner and create my pretty things, loving every minute of it--but constantly battling the part of me that tells me that I'm not innovative enough. My wire-wrapping is sloppy. My beads are too plain. ...But those things do not make me a failure. True, perhaps my "It" is not being the most innovative spectacular wire-wrapping jewelry designer... Like you reminded me, that's okay. I'm not exactly sure what my "It" is, but I need to stop focusing so much on trying to force myself into a mold, and just enjoy where the creativity leads. So, again, thank you for sharing your own journey--and helping me feel a little less alone in mine. Another great post! Why do us humans do that to ourselves by comparing/measuring our talents against others? Yes, I'm guilty, too. But with jewelry I decided that I have to design and use colors that I feel comfortable with and not what the fashion gods dictate. I remember a famous lampworker telling me that and it always resonates if I feel frustrated when creating. Your work is beautiful, your writing is inspiring. Don't change who you are! Your jewelry is incredible and there are a lot of times when I wish that I could/would think of putting something together the way that you do. But what is even more incredible is you. Your warmth, your honesty, your 'youness'. That is why you have such a turnout for your blog hops and your groups. All I can say is AMEN. Thanks for the inspiration, Lori! Lori - I can so relate to your post. And honestly, I still struggle with those feelings. At least we have figured them out though and see them for what they are. I can't speak as to how you feel about making jewelry(your's is awesome) but I know you are awesome at developing community and touching people with your thoughts and feelings when you write. Please don't beat yourself up - you have a lot of friends out here. Hugs. 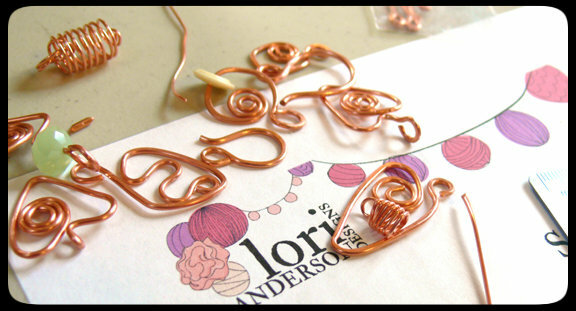 Lori, you do make pretty jewelry, but there's nothing like a 'labor of love.' You have a wonderful way of connecting people. Oh, and I love that experimental metal project. Another very interesting and inspiring blog post from you Lori. I wanted to say something about this innovative thing that so many of us (me too) have a complex about. It is sooooo easy to get hung up on originality. I wanted to say something from a music point of view. J.S. Bach is my favourite composer, but more importantly than that, he is considered to be one of the most, if not THE most influential and important composers in the history of western art music. And yet, when he was composing at the end of the 17th c/turn of the 18th, his music was considered stale and out dated. He wrote in an 'old fashioned' style, or so it was then. Other people were turning to new forms, new textures etc to develop a new, more modern and seemingly innovative style. But looking back at Bach's musical stlye and his extraordinary output, he was working new and incredible things, within this older style. His music is some of the most moving, incredible, memorable and also (and this is important here!) instantly recognisable that there is. Knowing only a very little about classical music and Bach, you only need to hear a phrase or two - sometimes even just a bar - to know that it is Bach. I won't bore you with the details of why! But I think the same is true for you. I can spot your jewellery a mile off. Your work may not be as edgy as some but it is classic. It is beautiful. It has style - your style! And if something is beautiful, and wearable and stylish, does is need to be ground-breaking in its crazy originality! Originality of style isn't what you're necessarily looking for in a piece of jewellery. Like you say, you can't be what you're not. But that is a good thing! Bach couldn't possibly have written such amazing music had he moved with the times - had he felt under pressure to do things differently to his own innate and distinctive style. It's like he took the best bits about the style he was composing in, and capped the entire period of music with the most toweringly beautiful works! What I am trying to say in a very long-winded fashion, is that I think you are a fine, talented jewellery artist, who makes stunning jewellery in a distinctive and unique style. I have great respect for you as a jewellery artist. I hope you go on creating if you love it, and just don't worry about others. Do what YOU do and do it well. Because you are already the best at that! I can't express how glad I am with your blog. Lately I felt the same, when I saw all the beautiful innovative, creative designs of well known and not so well known artists. And to be honest it made me feel paralyzed....I can never be that good. So who am I to create jewelry and sell it? And now I read well known and not so well known artist feel the same... A complete eye opener. Even you, with so much talent. I think that as women some times we feel that what we can or can't do makes who we are. While my kids where growing up it was oh that is (insert kids name) mom. Or that is (insert your other half's name). It's sometimes hard to fill that you really matter or that you have something(give,do,are important in some way to some one.You have done so much and still are. You are really an amazing writer all of your blogs that I have had a chance to read this far are so informative and insightful. Very well said!! You are you and I am I. We are each unique and individual in our own right! Amen sister! I think you bring much beauty into the world. Before I even got to the part about community, what jumped into my mind was how wonderful you are at creating community. But not just creating it, but making the beading world a welcoming place. Thank you! I just wanted to say how much I relate to what you said about envy and finding "it"!. I am very grateful to know I am not alone and there is someone out there that has felt the same way I have. This is truly a wonderful gift. You know what amazes me about your heartfelt posts? Every single time, you bring something to the forefront for me to think about, and to realize the wisdom of what you've expressed. I am still looking for 'my style'. I know how incredibly blessed I am to have so many wonderful beady people to talk with and mentor with, and you are on the very top of that list. Thank you for being you, because you make a difference in my world. What a great post! I'm so glad you made this discovery. You are a great person and you are so talented. I have sometime felt the some way and I can relate to you in so many ways. Your blog has always enlightened me and I thank you for that. Thank you for having the courage to share this! It's crazy, but I feel like I have been going through a similar journey...I kept finding myself so intimidated by other artists--it was completely paralyzing. Only recently, have I found that voice within me that gently coaches me through the insecurity and reminds me to just do what I love, and not try to be anyone else. You are so right that each of us needs to find our path--it's the only right one! Wonderful post Lori. I'm so glad that you are posting again. I was shocked to see that you didn't feel like one of the big girls. You are one of them to me. You make beautiful designs. And you have helped so many of us get our start. 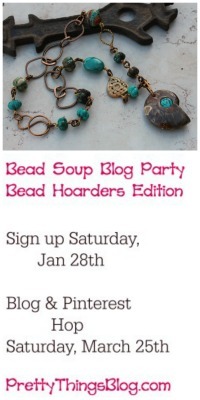 The reason I started my blog was so I could join your BSBP. I posted my pay it forward on my blog and no one responded.Needless to say I was discouraged.Then out of the blue znetshows contacted me about designing with their sea glass. I would not have had any of this without you.You are such a boost to the beading community and a just plain wonderful woman. I think that it is great that you are making jewelry to please you now. 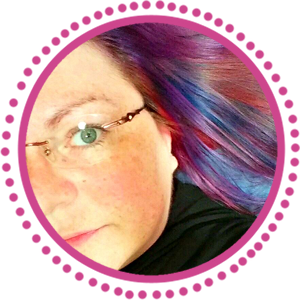 Great post, you are so bang on, I love that you are you and that I am I. Each time I go away from my true self, my creativity goes away too. I really like just being me and I create because it makes ME happy and really that is all that matters. Thanks for being you! Awesome thoughts, Lori! Don't worry about everybody else, just do what's right for you. You have a whole lot of gals out here in the blogosphere who love you for being you. It's going to be an awesome year! Reading this makes me think that you've come a long way in terms of personal growth. I applaud you, because I know (from experience)that it is an arduous journey. You have your own unique gifts and it sounds like you are in the process of discovering them and learning to value them. Hugs and high 5's! Amen, sister! Beautiful, talented, articulate. . .blessed! What a great post Lori. I think you've hit upon feelings a good many of us have had/have. I like what Nan said, be authentic - be you. You're the best you, you can be! Great post! Thanks for sharing. Going through some things like this myself recently (not so much with jewelry, but with the "real" job) it helps to know that folks I admire have some of these same concerns. So, thank you! Just a thought- but aren't we women all 'conditioned' with the 'you're not good enough' syndrome in just about everything? We are taught (yes, you have to be carefully taught!) to compare ourselves and to Always find ourselves Not As Good as someone else, and of course to focus on those people that evoke those feelings. What we need to find in ourselves is to honor self, to honor each other, to honor our differences and to celebrate our own creative lives. What speaks to me is a matter of Heart and Soul...and the minute I start to feel jealousy or envy, I lose my balance, lose my perspective and lose my creative juice. Today my preference may be for apple pie, tomorrow for boysenberry. Neither choice is right or wrong, but MINE. Your post is so Right On! Listen to your Heart, and it will give you the World...just Exactly as you need it. And for me, I love your blog, the way you move from different creative force to another...keep on it. The pebble is in the water, doll! Good post and insights. I believe that if one keeps searching for "it" , " it" will continue to elude you. Recall that famous song...Let it be. Good post and insights. If one keeps searching for the "it", "it" will tend to elude you. Recall that famous song..."Let It Be"
I feel the exact same way. I want to be playing with the 'big girls' and be recognized for my awesome talent. And reading your thoughts helped me. Thank you. Thank you for being honest and real. oh, and by the way, I disagree. I think your 'spin' on the pieces you create is innovative and lovely. Pretty. Well said!!! Thank you for sharing your words of wisdom. Lori your gift quite obviously to me is in expressive encouraginging writing and creating! I'm constantly struggling with what I want to do/make and what I enjoy doing/making all the time. It sounds like you are on the right track. In actuality, I want to be more like you. You ARE a rock star! That was one of the very best posts I have read anywhere, from any writer, on any subject. That's a big realization, and to internalize it, and act upon it, is enlightened. This is what the entire book of the Bhagavad Gita is all about...great book about what you just described called The Great Work of Your Life, by Stephen Cope. Amen! Had that feeling so many times during last year. Thanks for putting it in the right words! And btw - so looking forward to the hop. Will be the first piece f jewellery I've made in ages. Thanks for doing what you do. And please keep doing what you do whether it's designing, blogging, challenging, organizing or sharing. Keep hopping!